Please note that our lab is in the building 550, NOT 555. 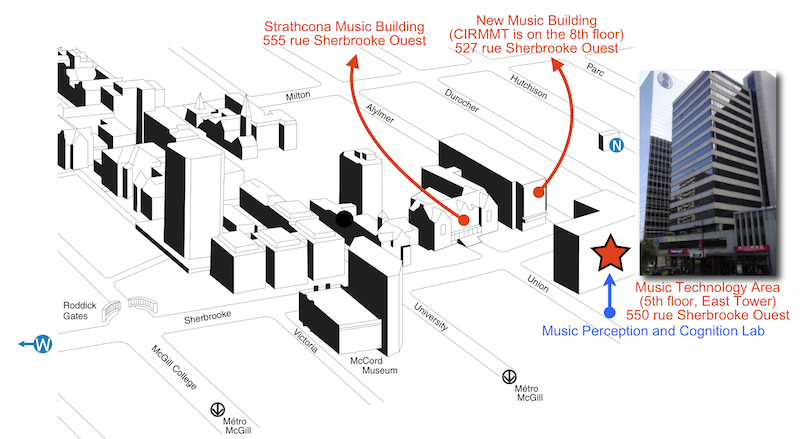 Building 555 is the Strathcona Music Building (Old Building). Please take one of the elevators in the lobby, East Tower, to the 5th floor. If you have an appointment, please use the telephone (Tel. 514-398-4535, ext. 094812) outside the office suite to call the person/lab to let you in.